Shelton, Washington, is a city of 9,900 residents on Oakland Bay in the Puget Sound. It is the county seat of Mason County in the northwestern part of the state, located at the southern end of the Olympic Peninsula. Historically, tugboats navigated the inlets and bay to haul loads of lumber the city milled, and they still do to this day. 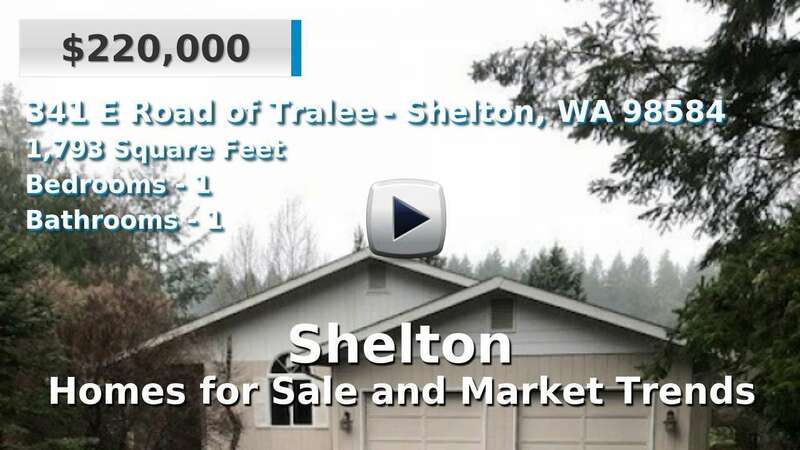 Homes for sale in Shelton are generally older than average, but are on large lots in a rural setting. 3 Beds | 2 Baths | 1507 sq. Ft.
3 Beds | 2 Baths | 2819 sq. Ft.
2 Beds | 1.75 Baths | 1284 sq. Ft.
4 Beds | 2.5 Baths | 1747 sq. Ft.
3 Beds | 1.75 Baths | 1624 sq. Ft.